I guess let's see what kind of boats people have. I have a 1988 St. Tropez. Just bought it this summer. So far am very happy with it. Would anyone know where there is a donor Prima 243? Need to find a windshield and frame. There has to be one sitting in the field somewhere. I just bought a 95 Excel 23SE in great shape. Does anyone have a source for the camper back canvas piece? Does anyone have a 2800? Any comments on this boat? I am new to this forum so here it goes. I just bought a 1986 3200 coastal with no engines. I am thinking of putting in a set of 3116 cats. untill then I will be installing a set of 375 hp chryslers, [not a chevy guy] till I can Get all the parts to install the cats. I have a '93 Excel 23se, the same color as one posted in pic and noted in 07. I have friend with the Marinique and it is the same basic boat only upgraded loke (toyota Camery and the Lexes). I picked it up last Aug. and motor was not in but included, it's being rebuilt now Volvo (GM) 5.0L - 305. some of the deck items not on board like two stainless steel rails: 1 on the back of bench seat, 2 the triangle one on the side. The seat back that they attach to was not on board as well. Can anyone locate these for me I can have a weilder make them up if I cann't find. Also want to install shower and sink in head water only in galley. At 61 this is my first boat ever. Time to enjoy life. She's a 1990 Eclipse 186. 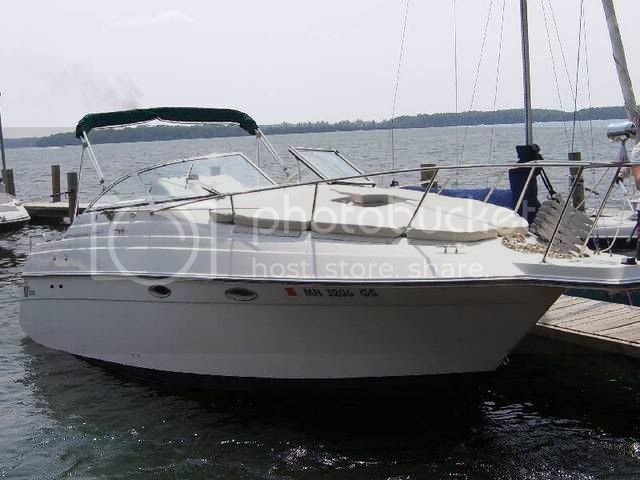 I also have a 1991 Triumph, it is a great boat. I have 454 mercs with 3 blade nibral 19 x 20. My cruise is 17 knots rb2rb2@gr5tgr5t 3400 rpm. I am thinking of going with 4 blade props. What are you guys running? I have a welcraft 34 triumph. 1991 repowered with international harvester m444 E. 330 hp diesels new to me last summer. Sweet boat. cruises around 24/25 knts. Hello there Triumph owner. I too have a 1991 Wellcraft Triumph. Not too many of them out there. I have twin 454 crusaders and bought it with one seized. I put in a new one and determined the old one got water in the engine from a poor design exhaust. I ended up eliminating the old water lift mufflers and installed dual exhausts on both engines. Seems to have eliminated the water ingestion problem. What did you have before your desiels ? Love to hear from you. I am on the Pacific coast, Channel Islands area. Here is my 38KV Scarab "Miami Vice Edition" New transom, new paint and two new 500EFI Mercruiser Blue Racing engines with Bravo I drives. Hi all, new to the board. We purchased our 1999 Martinique 2600 this fall, just in time to lay it up. 5.7 Volvo Penta Duo Prop. Spring is sooooo far away. Having had an 87 St. Tropez in the Boston area for 20 years, I can answer some of the questions. Good luck with your new boat. Thanks for the info, Bill, I really appreciate it! I can't seem to get the private messaging function to work correctly on boatered... how about dropping me an email instead? You can reach me on my junkmail address - craigslist at comcast dot net - and we can switch to my real one after we connect there. 1. Sounds like the bottom cushions for the bunk beds. The backs are permanently attached to the swing up part. 2. Do you really need a generator? I find the boat is light in the bow and heavier in the stern. The generator goes behind the battery box between the exhaust piping. But I think the boat already has enough weight there and I personally wouldn't add any more. The AC goes under the forward dining area seat. I have a central vac unit there. There is a loose 120 volt wire under there waiting for AC, but I don't where the other end connects to. 3. I just put a manual one on for the few times that I needed it. I have a Danforth s-22 with about 18' of chain. The only time it is difficult to pull up is if there a lot of mud stuck to it. I didn't want to be bothered with running heavy wiring to the bow for an electric windlass. 5. Keep it and update if it is a color GPS and has WAAS. Otherwise get a new one. Just got a 1988 Wellcraft St. Tropez with dual rebuilt 454's with 53 and 93 hours on them respectively. This is my first boat and I'm in the Boston area so it is going to be a LONG wait until I get to use her in the Spring! Any advice for a new owner? 1. There were two white relatively large cushions, slightly askew from being rectangular, one of which has the soft side of velcro on the back... I'm wondering what these are for? Are they the backs for the bunk beds? 2. Has anyone added an after-market generator to the 1988 or similar St. Tropez that can give me some tips? Alternatively, does anyone know where I can find power requirements info on the heater and A/C, so I can be sure to get the right size generator? 3. I want to add a windlass, either manual or electric. Any suggestions, pitfalls to watch out for, etc? 4. I have a radar arch, but no radar right now. Suggestions? 5. My GPS unit that came with the boat is an older Garmin 201 (or something like that - I don't have it with me). Does anyone know if it is possible to get updated maps for that unit? Should I not bother? 6. The first owner of the boat (I'm the 3rd owner) was very tall and had the front piping raised so the canvas goes over the radar arch instead of under it. So the side canvas/windows no longer fit, and were discarded, and the rear no longer reaches the front because now it has to also go over the arch. Any suggestions on who to use in the Boston area to build some new side windows, and to either extend the rear canvas or to build a full camper back? If this is not the right place to reply to these questions, feel free to private message me and I'll re-post it in another forum. Either way, I'm proud to now be a Wellcraft owner and wanted to "say hi"! STAINLESS HINGES USED THE THE BACK OF 91; PORTOFINO WHERE WATER RINSE STATION IS AT??? It showed up perfectly, and it looks great! That's a real clean lookin' Port! 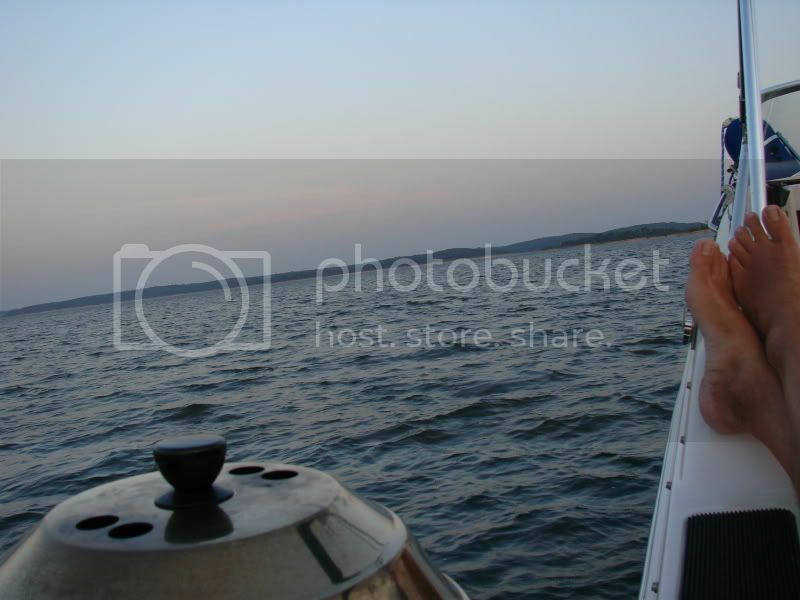 Yes-- I have been using Photobucket for years and it has always been free. Is that how you posted your pic's back on 5/17/9??? New to the forum...just enjoying all the wellcraft comments. We have a 1991 portofino. 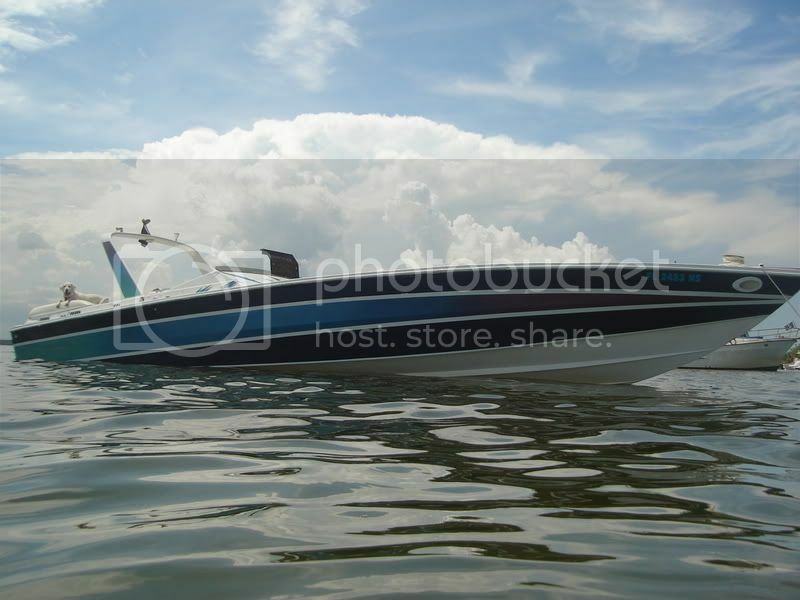 How do we add pic's of our boat? Anybody down in San Diego area ??? Get a hosting account, like Photobucket. You can upload your pics from your system, and then simply cut and paste the URL links into your message. I also have a Portofino. Mine started life on the Pacific but is doing quite well here in Central Texas now. I haven't seen another one on this lake. I get tons of compliments on it. Bring this 1988 St. Tropez home on Saturday. 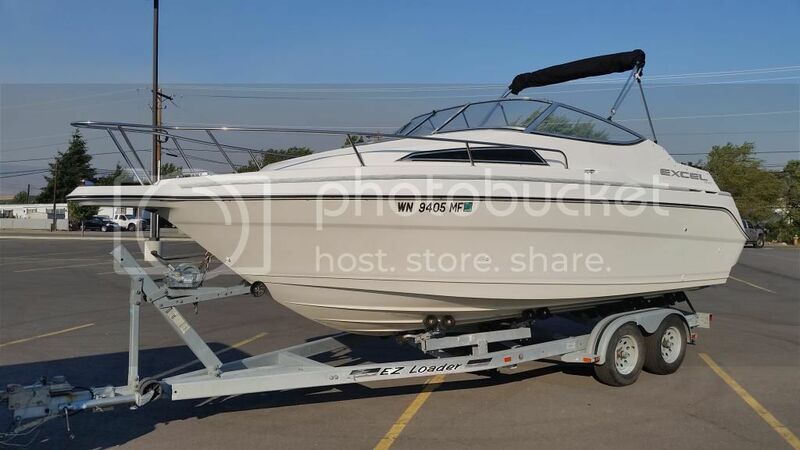 Boat is sweet bran new 2005 Crusaders 8.1 fresh water cooled put in at the end of 2004 with 120 hours... We love this boat!!! Weird-- I thought I had updated this. We now have an '87 Portofino that we launched 1/08. Major updates are rebuilt Velvet Drives, re-built starboard engine, new port engine, new head, painted with Blue Water two-part Uraglow, reupholstered interior, new fridge, A/C. I had it professionally wet sanded as that had not been done. 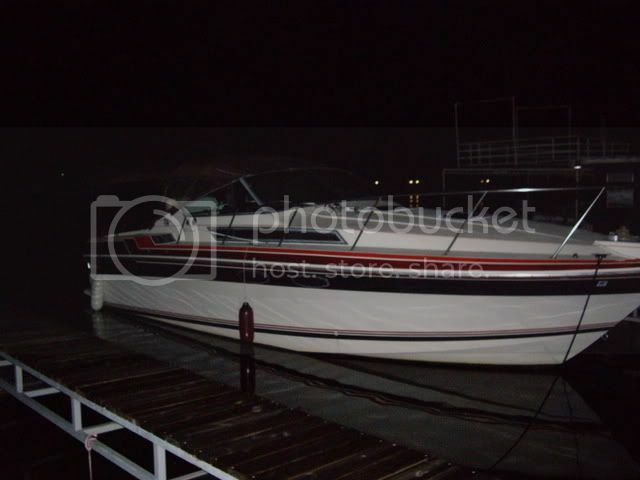 I have a 2000 2400 Martinique with 5.7 Mercruiser/Alpha drive. I've had it since 2006 and love it. I keep it in Bay City, Michigan during the summer. A newbie here. Recently purchased a 1993 243 Prima. Having to work through a few minor issues, but all in all a great boat! 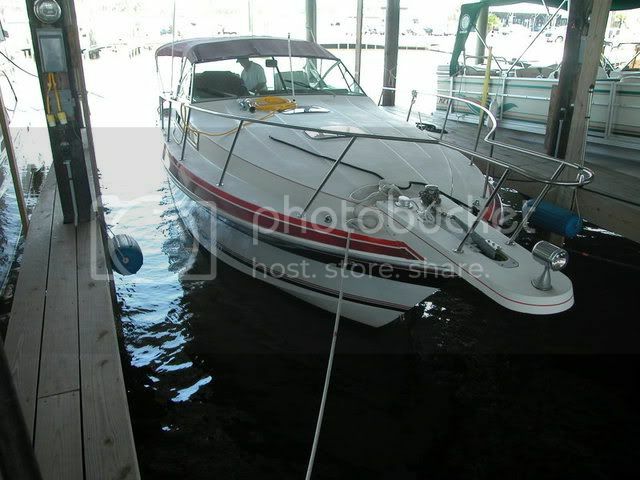 I have a 1994 243 Prima, 5.7 Volvo Penta DP. Great boat...Poor Operator! I have a 1988 34 Grand Sport. I've owned my boat since 2005. It's been great for me and my family. 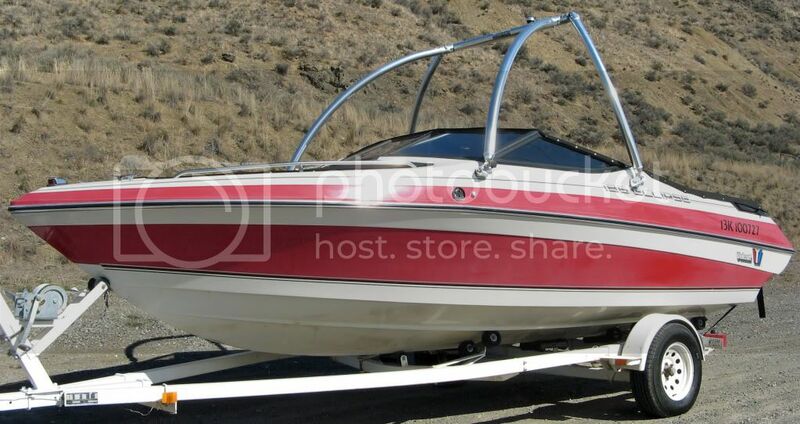 Every time I think about getting a newer boat I compare it to my boat. It seems they don't make them like they did back in the 80's. I've looked at boats that are 37-39ft., but my 34 still has more room. I gutted the inside/outside back in 06 and made it up-to-date. I blew my starboard engine last year and replaced it, but thats boating. This week I'm planning to replace the risers and manifolds on my port engine myself, could anyone give me advice on the job I'm getting into. I hear it's not that hard. I have 454 merc. This is our 1986 St. Tropez that we purchased last year in June. 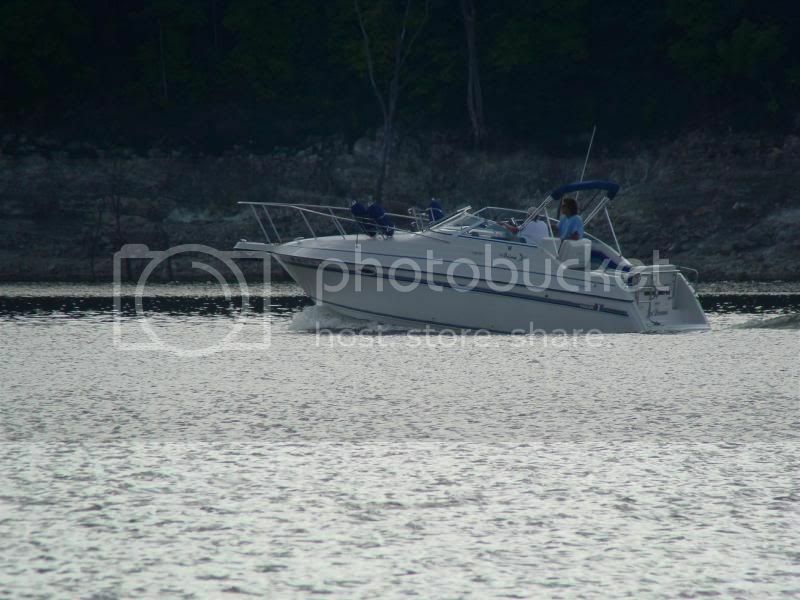 First boat was a 1986 Wellcraft 192 American-great boat. 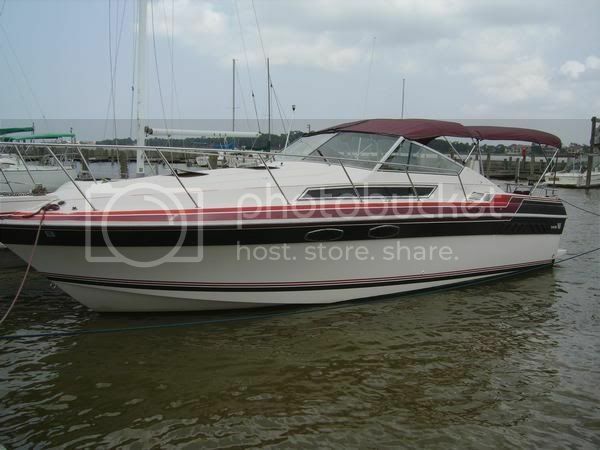 Second boat was a 1990 Wellcraft 233 Eclipse-even better boat. 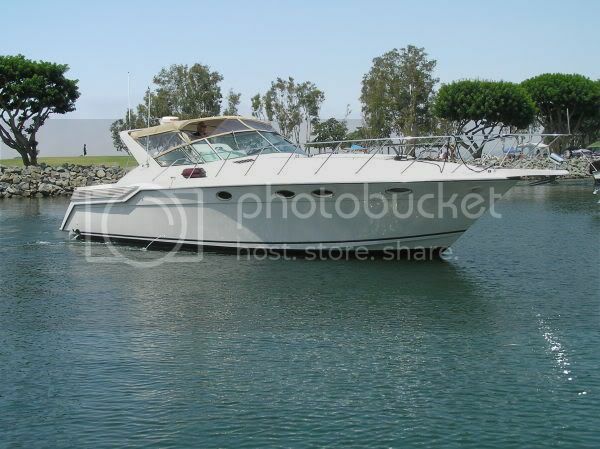 Third and current boat is a 1990 Chaparral 30 Signature. Sorry guys. Was looking at the Martiniques but we did'nt like the booth in the cabin. Had to make the change. I do miss the Eclipse though. I own a 77 wellcraft nova 260. 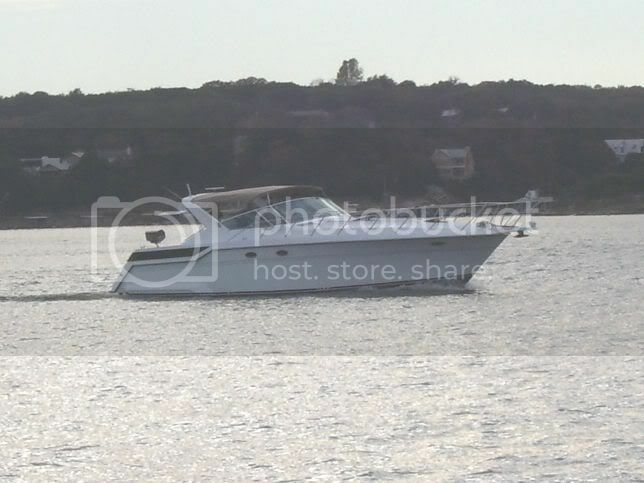 Twin 350's 260 HP. The motors have low compresson so I purchased a set of rebuilt 88 mercruiser 350's to be the doner motors. Hope to have the boat in the water by May to do some fishing and tubing. 1986 Nova II "Fox E Nova"
Just bought a 1988 Concept which is a rare model made only one year. The boat has a Mercruiser 7.4 with Bravo1 outdrive and stepped hull. Wow, just checked my pm's and found that there is a Wellcraft owners forum. I have a 95 36 Martinique. Love the boat for the size, but wish there was more room in the mid cabin. Also looks like later models they made the cockpit bench seat a true U not and L and a bench behind the drivers seat. OH, well, gotta love what you got. Does anyone have a Westerbeke 7.0 or similar size? I am having some problems with it taking a load. Once it is loaded up it is fine. But when not under a load and the a/c kicks on, it drops real bad. Your excel looks exactly like my 2400 Martinique. It's the same hull, just a little longer. My LOA is 25.5. It's a nice boat. I don't see too many of them here in South Florida. I like the blue line. Do you trail it? Does it have a full head? 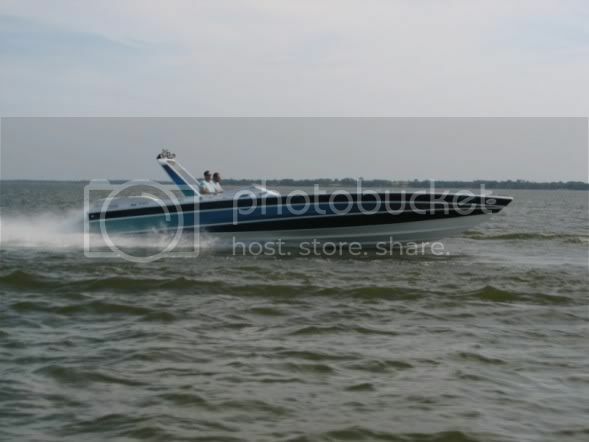 I have a 1986 Nova III with twin 260hp 350's. We boat on the Chesapeake Bay and some small Pa. lakes. I just upgraded last year from a 1986 Elan 197 that originally had a 4.3 205hp which I replaced with an aluminum headed performance 355 that I built. I love Wellcraft because they are a very solid feeling and well-built boat. 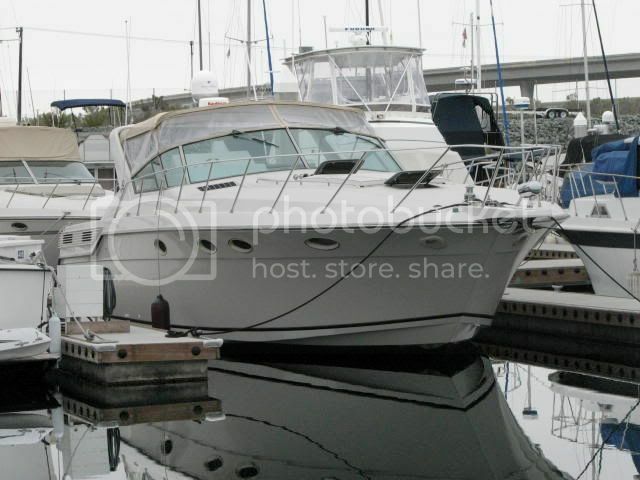 Own a 2001 Martinique 2600-7.4 Merc Stern Drive. This is a great boat! Looks great-goes very fast and is all the boat my wife and I need. We saw this at the 2001 boat show and fell in love. We finally bought ours this year- a great deal at 33,000. 1999 Martinique 2600 . Just purchased and so far so good. In great shape as she was run in fresh water and kept in a boatel. I winterize my 43 foot sailboat so plan to do this as well. Read a lot regarding this topic and it doesn't seem too bad. Want to put on a second bimini and from reading this forum it seems Taylor is the way to go.